Why on earth does our mind bring up sad memories when we’re having a good time? Why do we feel loneliness when someone offers us love? Why do I think about sad images of seals I’ve seen on social media when I see advertising for family fun at the aquarium? What’s up with that? I have a few theories (well, OK, one theory’s sort of mine and one I’ve borrowed from Internal Family Systems). We know very little about the brain and the mind, but from what I know, it seems that we file memories away as topics in the filing system of our mind. My memories of seals and aquariums are all filed away in the same place – good memories and bad memories. But the bad memories have a distinct advantage because they’re the ones my mind will file away more readily and pull out more swiftly. Bad memories tell me about things that might affect me negatively, that I need to look out for in the future in order to protect my psychological and emotional safety. So, when I see an ad for the aquarium, my mind will immediately move toward understanding what I am seeing, and I understand it by comparing it to what I already know. What I already know is in those filing cabinets, and, unfortunately, what I already know about aquariums may well be mostly populated with negative images of sad seals. Happy images of seals may have never even made their way into the filing drawer because they weren’t useful in helping me to look out for and survive a threat to my happiness. Hence, family fun makes me think of sad seals. Sorta crazy, but that’s how it is. And I’m betting you have similar experiences. The other theory to explain the phenomenon is a parts theory. In Internal Family Systems, our mind/body motivations are explained by identifying internal parts of us. And these internal parts are personified into an internal family. We’ve all heard of the infamous inner child: we also have all the other members of the internal family in there, in all their color and complexity and craziness. We don’t create these internal parts: we discover them, as well as how they interact with each other. So I have a beautiful inner child, as well as an inner wise woman, an inner critic, an inner perfectionist, and, relevant to this little story, an inner short movie projectionist. Stay with me. I only discovered my inner short movie projectionist recently. As part of my own inner adventure, I started to ask myself questions like, “Why am I thinking about sad seals when I see an ad for the aquarium?” and I sat with that question for a while, really sat with it with curiosity. Where I might have previously been annoyed at my mind going to something sad (again! ), I changed tack and got curious instead. Curiosity will always pay off (that’s my tip for the day, my friends). Given that part of my practice is informed by my study of Internal Family Systems, my curiosity was open to my internal parts. Enter, my little projectionist friend. He seemed nervous, humble and sorta geeky (a bit like the fellow behind the Wizard of Oz). He wandered into my internal landscape, sort of embarrassed, and let me know that he was the one showing me those sad seal images. He played the film rolls and he held up the screen they projected on to. He showed me how he did it. Wow. I felt so touched by his desire to help me look out for threats. He was so humble, so unthreatening, so small and so diligent. I’ve been sitting with him since I discovered him. Traditional Internal Family Systems practice might move toward inviting him to “step down” and do something liberating and fun instead, to relieve him of his burden, or to ask him more questions. But my process at this point is less interventional and more companionable. I simply acknowledge his existence with mindfulness, curiosity, appreciation and tenderness. He is a part of me. When I have those sad images come up, that’s my cue to see him. And when I see him, and understand that this is an internal process of survival rather than an annoying and painful thing my mind is doing to me, it takes all the sting out of it. Rather than resisting this process, I love him tenderly for his care for me. He has undoubtedly been really helpful during my life, and I want to continue to honor his hard work. We’re in this together. Who’s been keeping you safe? Do you have a sense of any of your internal parts that are working for you (even when it feels as if they’re making your life more difficult)? 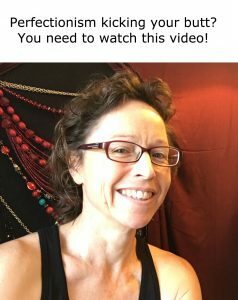 If you want to explore just how much your system is doing to keep you safe, we’d love to travel with you at the next Somatic Self-Compassion Online journey. Curiosity has most certainly paid off for you with your short film projectionist dear one. Then curiosity seems to have led to companionship. Wonderful! May we all lean in to curiosity and arrive at acceptance/relationship! “Oh that’s a good one,” I say to my most recently favorite short film: The Doubt aka The Fear. You are right on cue. Thank you for re-minding me of the present moment. I look forward to noticing your announcement yet again! Thanks for commenting, dear Mac. I think a big part of our work is unending curiosity 😉 Happy to be traveling with you, my friend.